Cutting Corners Mister Project Manager? Published on May 22, 2010 in COP, Elections, Finance, General T&T, Law, Letters, PNM, Politics, UDeCOTT, Uff Report and UNC. Closed Tags: Calder Hart, Crime in T&T, Patrick Manning, Politics, T&T Govt, UDeCOTT. Published on May 16, 2010 in corruption, Elections, General T&T, Law, Media, People's Partnership, PNM, Politics, UDeCOTT, Uff Report and UNC. 13 Comments Tags: Calder Hart, Integrity Commission, Jack Warner, Kamla Persad-Bissessar, Patrick Manning, Politics, T&T Govt. 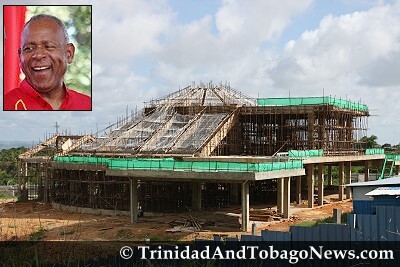 Opposition Leader Kamla Persad-Bissessar yesterday produced documents purporting to show a direct connection between Prime Minister Patrick Manning and former UDeCOTT executive chairman Calder Hart in the design and construction of the Lighthouse of the Lord Jesus Christ Church at the Heights of Guanapo, Arima. Published on May 14, 2010 in Complaints, corruption, Elections, Finance, General T&T, Law, People's Partnership, PNM, Politics, Protest, UDeCOTT, Uff Report and UNC. 5 Comments Tags: Calder Hart, Fyzabad, Hazel Manning, Keith Rowley, Patrick Manning, Politics, T&T Govt, UDeCOTT. MANY must surely question how closely PNM leader Prime Minister Patrick Manning is actually following the wonderful list of ideals for handling his Cabinet Ministers, that he espoused to a PNM rally at Fyzabad on Wednesday night. Published on May 11, 2010 in corruption, Elections, Media, PNM, Politics, UDeCOTT, Uff Report and UNC. 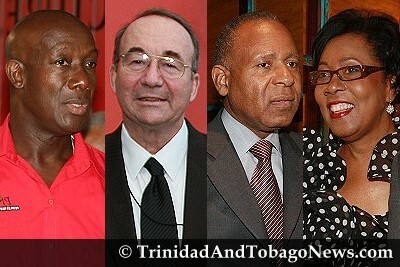 8 Comments Tags: Andre Bagoo, Calder Hart, Keith Rowley, Patrick Manning, Politics, T&T Govt, UDeCOTT, UNC. PNM DIEGO MARTIN West candidate Dr Keith Rowley last night broke his silence on the Udecott issue, calling on the Government to assure the nation before May 24, that all 91 recommendations of the Uff Commission of Inquiry into Udecott, will be implemented. 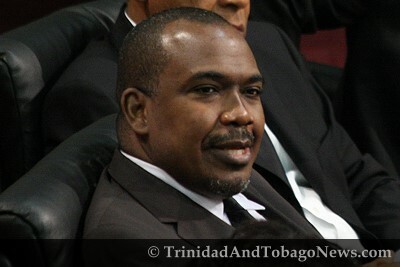 He conceded that the issue was “a big one” in this year’s election campaign and told his constituents that Prime Minister Patrick Manning had “made a mistake in trusting” the State company’s former executive chairman Calder Hart. Published on May 4, 2010 in Elections, General T&T, PNM, Politics, UDeCOTT, Uff Report and UNC. 3 Comments Tags: Calder Hart, Newsday, Patrick Manning, Politics, T&T Govt, UDeCOTT. PRIME Minister Patrick Manning’s remarks about letting the Udecott “chips fall where they may” strikes us as platitudinous at best and as a cynical cop-out at worst. Yes, it is true that the Government held the Uff Commission of Inquiry into Udecott and then laid the full, uncut report, in Parliament, as said by Manning, but his remarks at the PNM rally on Sunday at Woodford Square really sidestepped several matters. Quite simply, Manning failed to explain his relationship with former Udecott head, Calder Hart. Published on April 13, 2010 in Complaints, Elections, Finance, Media, Politics, UDeCOTT, Uff Report and UNC. 13 Comments Tags: Calder Hart, Integrity Commission, Patrick Manning, Politics, Property Tax, Stephen Kangal, T&T Govt, UDeCOTT. It is patently clear that the cohesive, disciplined but inept and groping-in-the-dark Manning Administration had all but collapsed under the increasing weight of his arrogant and errant ways, the secretive, non-transparent vandalisation of the public purse, astronomical exorbitantly priced politicization of the Public Service, its collision course with Trinbagonians and a concatenation of unfavourable events. Published on April 12, 2010 in corruption, Finance, Politics, UDeCOTT and Uff Report. 10 Comments Tags: Calder Hart, Patrick Manning, Politics, T&T Govt, UDeCOTT. 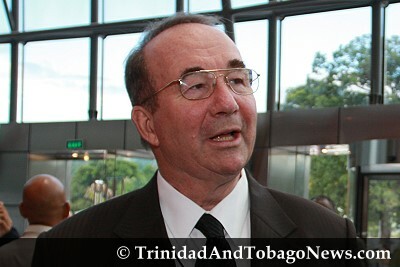 Former UDeCOTT executive chairman Calder Hart was asked to return to Trinidad and Tobago by the State to answer questions related to his testimony during the Uff Commission of Enquiry. Former Urban Development Corporation of T&T (Udecott) executive chairman, Calder Hart, peeped out at members of the media through the sliding glass doors of his front porch at his Cascade home around 1 pm yesterday. FORMER executive chairman of the Urban Development Corporation (Udecott) Calder Hart has been described by Udecott’s former deputy chairman Dr Krishna Bahadoorsingh as “hanging tough” in the face of adversity. Published on April 11, 2010 in COP, corruption, Elections, Media, Parliament, PNM, Politics, UDeCOTT, Uff Report and UNC. 8 Comments Tags: Basdeo Panday, Calder Hart, Patrick Manning, Politics, Raffique Shah, T&T Govt, UDeCOTT. FIRST, let’s cut the bull over Prime Minister Patrick Manning’s reasons for calling a mid-term general election. The United National Congress (UNC) motion of no-confidence in the PM, which he cited as one reason, was doomed to fail-unless he feared his own members voting against him. There was no cause for concern or unpleasant surprises. Published on April 8, 2010 in Complaints, corruption, Finance, Law, Media, Politics, UDeCOTT and Uff Report. 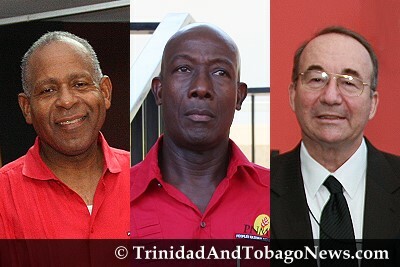 2 Comments Tags: Calder Hart, John Jeremie, Keith Rowley, Patrick Manning, Politics, Professor John Uff, report on the construction sector, T&T Govt, UDeCOTT. 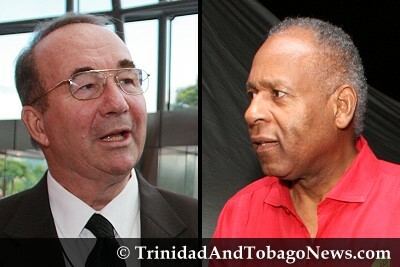 If, according to AG John Jeremie, Prime Minister Patrick Manning stands vindicated by the Uff Report for his pursuit of the $10 million discrepancy on the Cleaver Heights housing project, by the same logic the Prime Minister and his entire Cabinet must be criminally negligent in failing to prevent the pillage of hundreds of millions of dollars on several construction projects undertaken by Udecott. Sadly, the Attorney General’s statement in the Parliament on Tuesday in laying the Uff Report only illustrated the deep bias held by the Government in the matters probed in the Uff enquiry. Published on April 7, 2010 in COP, corruption, Law, PNM, Politics, UDeCOTT, Uff Report and UNC. 7 Comments Tags: Calder Hart, George Alleyne, Patrick Manning, Politics, T&T Govt, UDeCOTT. Two things are clear. Political Leader of the ruling People’s National Movement (PNM), Prime Minister Patrick Manning, must step down and the Opposition United National Congress (UNC) and the Congress of the People (COP) are still light years away from any meaningful approach to political unity.